Scientific Qi Exploration. Part 17a. 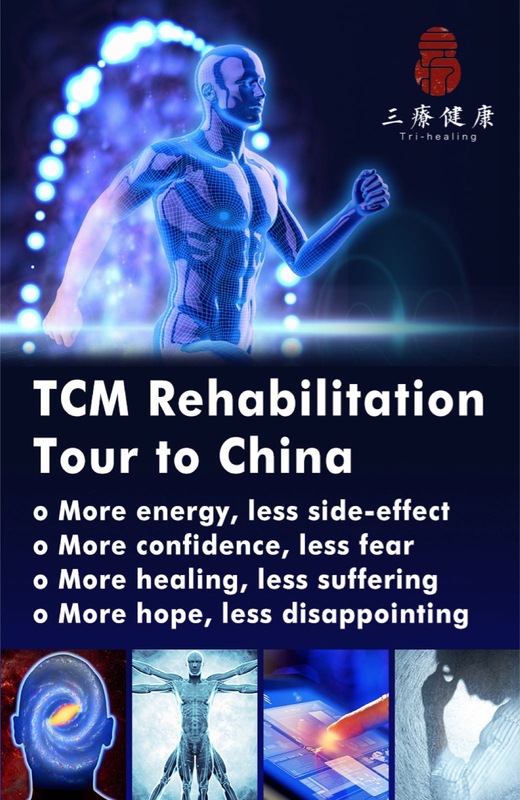 First, the Chinese concepts of Meridians and Organs will be introduced in a series of articles. Then, possible western scientific explanation of some of these concepts will be given in subsequent parts. More scientific research is still required to explain some of these ideas. Chinese concepts will be denoted by capital letters and western concepts by lower case letters. For example, the Heart in Chinese Medicine is different than the heart in Western Medicine. 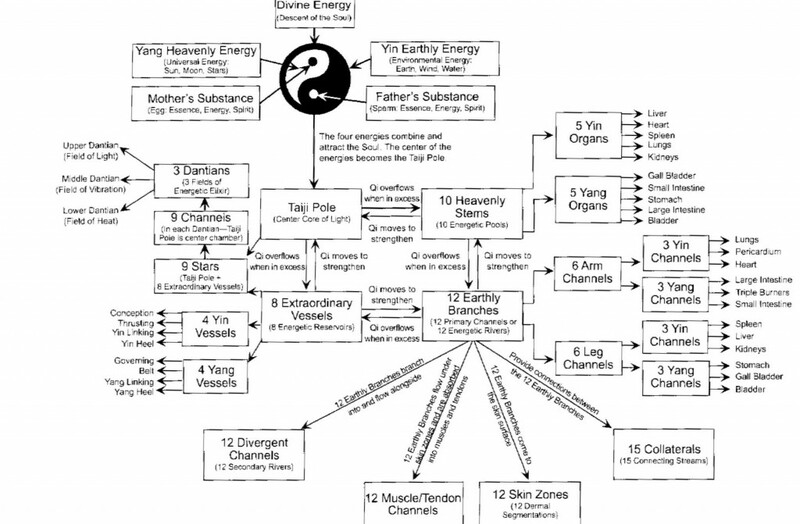 The theory of Meridians, Collaterals, Zangfu Organs, Qi, Blood, etc. 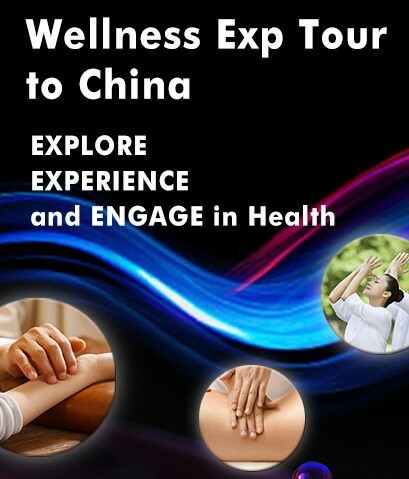 was developed from the observation of symptoms and signs of diseases, the transmissions of acupuncture needling sensations, Tuina (Chinese remedial massage, Daoyin (ancient Qigong breathing) and ancient anatomic knowledge based on centuries of clinical practice in Chinese medicine. The Channels can be classified into four categories: Jing (to move through), Luo (a net), Muscle/Tendon and Skin Zones: (i) The Jing Channels are the 12 Primary Meridians, 8 Extraordinary Channels and 12 Divergent or Curious Meridians. (ii) The Luo Channels include the 15 Major Collaterals, Minute Collaterals and Superficial Collaterals. (iii) The 12 Muscle/Tendons Channels which serve as external connections of the 12 Primary Meridians to the muscles muscles, tendons and ligaments. (iv) The cutaneous regions are 12 distinct areas on the surface of the body within the domains of the 12 Primary Meridians acording to Chapter 56 of Huangdi Neijing Su Wen (Plain Questions: Yellow Emperor’s Internal Canon of Medicine). Some modern books add the cutaneous regions of Conception Vessel and Governing Vessels so that there are 14 cutaneous regions. Zangfu is the general term for Organs in Chinese medicine. Both Zang and Fu mean “organ”. The character for Zang is composed of two parts, one indicating “flesh” and the other indicating “to store”. This shows that the Zang (Yin) Organs are in charge of storing vital substances. One part of the Fu ideogram means “flesh” and the other means “seat of government”. This indicates that Fu (Yang) Organs mainly receive and digest food, and transmit and excrete wastes, just as the ancient Chinese government was in charge of food distribution. Zangfu are not like the organs in western medicine, since they also have other properties such as spiritual and neurological. The six Zang Organs are the Heart, Pericardium, Lung, Spleen, Liver and Kidney. The Fu Organs are the Large Intestine, San Jiao (Triple Burner), Small Intestine, Stomach, Gallbladder and Bladder. The Brain, Marrow, Bones, Gallbladder and Uterus are known as the Extraordinary Organs and store various substances. The Organs and their connection with the Channels appear in Figure 1. There is a structural and functional connection between the Zang and Fu Organs individually as well as collectively, and also by the Meridians and Collaterals with these Organs and the five sense organs and tissues. The Classified Classics by Zhang Jiebin (1562-1639) state the Zangfu Organs are located interiorly and manifested exteriorly. Therefore, the theory of these Organs is called Zang-Xiang, where Zang refers to their interior location and Xiang denotes their manifestations or image. The following theory is one of the theories taught at the Hai Dan Medical Qigong College in Beijing, China (1). The ancient Chinese did not have an idea of cells and their division. 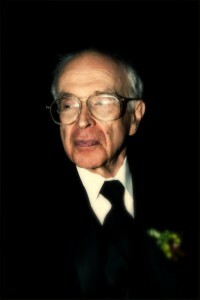 Modern theories postulate that the channels are formed at the earliest stage of cell division to create an energy matrix for the developing fetus. The following three energies combine in the developing fetus: Jing (Essence), Qi (Energy) and Shen (Spirit). Jing nourishes the tissues and is the foundational bodily substance. 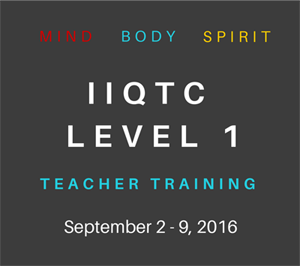 Qi emerges from the circulating Jing and promotes the body’s metabolism. Shen governs the body. Collectively, they are called the “Three Treasures of Man”. The father’s sperm and the mother’s egg contain these Three Treasures and they will be referred to as Father Qi and Mother Qi, respectively. The combination of Father and Mother Qi is known as Yuan (Original) Qi. The quantity and quality of Yuan Qi the baby receives at conception depends on the condition of the parents’ sperm and egg, their health (physical, mental and spiritual) at conception and karma, which is brought into the life by the incoming spirit/soul. Upon entering the ovum, the sperm produces a polar axis that creates an energetic vortex. This central vortex creates the Taiji Pole, draws Qi from Heaven and Earth and the Eternal Soul into the fetus. The Taiji Pole has been described by some people through a meditative process. It appears to be a vertical column of brilliant white light, full of vibrations and energetic puslsations. This channel flows from the Bahui point at the top of the head, through the center of the body to the Huiyin point at the center of the perineum. It connects the three Dantians. The characteristics of the energies located there are unknown and have not been detected by modern scientific methods. This polarization not only produces the Taiji Pole but also determines a ventral and dorsal surface, which contain the embryo’s Conception (Ren) and Governing (Du) Vessels, respectively, produced upon the first cleavage of the fertilized egg. The first cell division also establishes a left and right side containing the Yin and Yang Heel vessels. The Belt and Thrusting Vessels form at the time of the second cell division. The four vessels (Ren, Du, Belt and Thrusting) are interlinked for the production, circulation and regulation of the Jing of the fetus. The body’s energy system is established and maintained by these four vessels when cell division occurs. 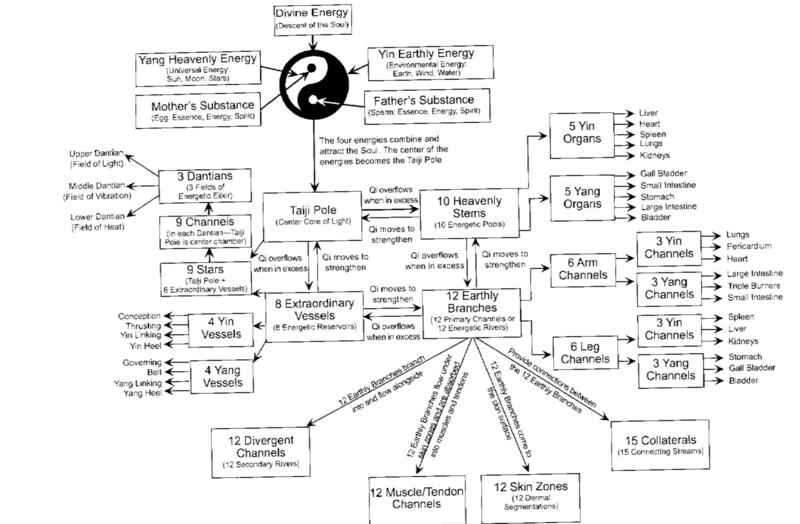 As cellular division progresses, the Yang and Yin Linking Vessels are formed and are responsible for the development of the exterior and the interior of the body, respectively. These eight vessels are known as the Prenatal or the Extraordinary Vessels and have a specific role in embyonic development: (a) The Governing Vessel (Yang) controls the fetal back development. (b) The Conception Vessel (Yin) controls the fetal front development. (c) The Thrusting Vessels carry energy through the center of the fetus and control the fetal central core. (d) The Yang Heel Vessels control the development of the fetal right and left Yang energy. (e) The Yin Heel Vessels control the development of the fetal right and left Yin energy. (f) The Yang Linking Vessels control the development of the fetal exterior and correlate to Heaven energy. (f) The Yin Linking Vessels control the development of the fetal interior and correlate to Earth energy. (g) The Belt Vessel binds all the channels together. The eight Prenatal Vessels form a vortex of energy in the embryo’s center, the area between the locations where the kidneys will develop. The Taiji Pole and the Thrusting Vessels are at the center of this vortex and will form the following pools or Seas of energy corresponding to the developing organs and channels. These are the Seas of the five Yin and six Yang Organs, the Seas of theTwelve Primary Channels, and the Sea of Blood associated with the Thrusting Channel. Qi and Blood are distributed at the energetic level from the Taiji Pole and Thrusting Vessels through the small rivers or channels that flow out of the Seas of the channels. This supplies the energy for the growth of the embryo’s physical form. During the formation of the embryo, nine Yang channels begin to flow out of the Governing Vessel (Sea of Yang Qi). These nine rivers are: the Small Intestine, Triple Burner, Large Intestine, Stomach, Gall Bladder, Bladder Meridians, and the Yang Heel, Yang Linking and Belt Vessels. Similary, nine Yin channels begin to flow out of the Conception Vessel (Sea of Yin Qi). These nine Yin rivers are: the Lung, Heart, Pericardium, Spleen, Liver and Kidney Meridians and the Yin Heel, Yin Linking, and Thrusting Vessels. Each of the ten lunar months of the development of the embryo is also influenced by the associated Primary Meridian of the mother. This theory, described in (1), was created by Dr. Chao Yuan Fang, a Qigong expert during the Sun Dynasty, about 610 A.D. It transforms Food Qi into Blood. The Lung Qi helps push Food Qi to the Heart. The energy for this process, called the Post-Heaven Cycle of Blood production, is supplied by the Original Qi. Blood is also produced by the Pre-Heaven Cycle, which will be described next month in Part 2, in Kidney (f). It is responsible for the circulation of Blood although other Organs, such as, the Lungs, Spleen and Liver, also have a role. One’s constitution is primarily related to the Kidney Essence, but is partly determined by the strength of the Heart and Blood. If there is ample Blood and a good circulation, a person will be vigorous and have a good constitution. Blood Vessels depend on the Heart’s Qi and Blood. If these are strong the Blood Vessels will be good and the pulse will be full and regular. If the Heart is strong and the Blood is abundant, there will be a rosy and lustrous complexion. If the Blood is hot or is stagnant the complexion will be too red or bluish-purple, respectively. If the Blood is deficient, the complexion will be bright white or pale. Shen is used in two different ways in Chinese medicine: (i) Shen indicates a complex of mental activities which “reside” in the Heart and so denotes the Mind. If the Heart is strong and the Blood is abundant, there will be normal mental activity, balanced emotions, a clear state of consciousness, good long-term memory, intelligence and sleep. For example, low intelligence can be somewhat improved by tonifying the Heart. (ii) Shen is also used to denote the whole complex of the spiritual, mental and emotional aspects of man. In this sense, Shen is not only related to the Heart but also to other mental and spiritual aspects of the Yin organs. In the discussions of the other Yin organs, it wiil be seen that they influence emotions, Mind and Spirit in different ways. The Heart is called the Emperor or supreme controller of all the Zangfu. The Heart is related to joy. If the Heart takes excessive control of mental activities, it will cause uncontrollable laughter. A Heart deficiency can make one susceptible to grief. Excessive joy as well as other excessive emotions can affect the Heart because the mind is housed in the Heart. Conversely, emotional problems can cause Heart problems. The tongue is referred to as a “seedling” or “offshoot” of the Heart. The Heart influences the appearance, form and color of the tongue, particularly, its tip. It also controls the sense of taste. The tongue will be rosy, moist, lustrous, with a normal sense of taste and move freely for a healthy Heart. The Heart also affects speech, influencing talking and laughing. Thus, an abnormality of the Heart can cause excessive talking, inappropriate laughter, aphasia or stuttering. Body Fluids are transformed into sweat by Qi activity. The secretion of sweat depends on the opening and the closing of pores, which are controlled by Wei (Defensive) Qi. Blood and Body Fluids mutually interchange. If the Blood becomes too thick, Body Fluids enter the blood vessels to thin it down. The Classic of the Jade Letter of the Golden Shrine states that Body fluids enter the blood vessels and change into Blood. Since the Heart governs Blood and there is a continuous interchange between Body Fluids and Blood, the Heart controls sweat. The relation of the Heart to sweat also appears clinically. Unchecked, profuse sweating will lead to deficiency of Blood. Deficiency of Heart Yin often causes night sweating. A deficiency of Heart Qi often causes spontaneous sweating. Dreams and sleep are related to the Heart, since it houses the Mind. The Heart’s housing the Mind depends on an adequate Blood supply. Conversely, the Heart governing the Blood depends on the Mind. If the Heart-Blood is strong, the Mind resides in the Heart and one will easily fall sound asleep. If the Heart is weak the Mind is not anchored in the Heart and flits around at night. This leads to difficulty in falling asleep, disturbed sleep and excessive dreaming. Chapter 80 in the Huangdi Neijing Su Wen (Plain Questions: Yellow Emperor’s Internal Canon of Medicine) states that if the Heart is weak, one dreams of fires or volcanic eruptions in the summertime. Chapter 43 in the Spiritual Axis says that if the Heart is in excess, one dreams of laughing; when it is deficient, one dreams of fire, smoke and mountains. Heat, more than any other exterior pathogenic factor, adversely affects the Heart. However, the Heart is not invaded by external Heat since it is shielded by the Pericardium. The Heart has vessels and Channels carrying Blood and Qi to the brain. These are interpreted as “Orifices of the Heart”. When the Pericardium is invaded by exterior Heat, the Heat clogs the “Heart Orifices”. This can lead to aphasia, delerium or coma, since the Heart houses the Mind. The heart propels the blood through the body. The circulating blood carries nutrients and oxygen for the cells and aids in the removal of waste products and other substances. The Pericardium is considered to be a protective covering of the Heart more than an idependent organ. It is considered to be the official or Prime Minister who protects the Heart (Emperor). Chapter 71 of the Spiritual Axis states that if a pathogenic factor attempts attacking the Heart, it will be diverted to attack the Pericardium. 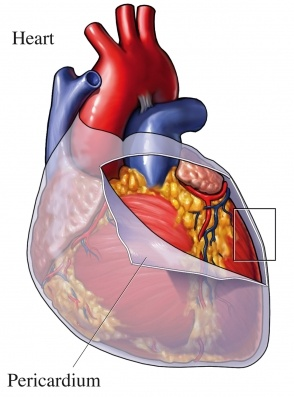 The functions of the Pericardium are aproximately those of the Heart. It governs Blood, houses the Mind and influences mental and emotional states. The Pericardium tries to create fellings of pleasure or joy for the emperor (Heart). The western medical function of he pericardium is to provide a protective covering which encloses the heart. The pericardial cavity contains a lubricating fluid which allows the heart to move with less friction. The Lungs inhale pure Qi (air) and exhale dirty Qi. This ensures proper functioning of all the physiological processes that require Qi. They also govern Qi by producing it. Food Qi is extracted from food by the Spleen and is sent to the Lungs. There it combines with the inhaled air to form Gathering (Zong Qi) or the “Big Qi of the chest”. Since this synthesis and storage occurs in the chest, the chest is often called the “Sea of Qi” or the “Upper Sea of Qi”. 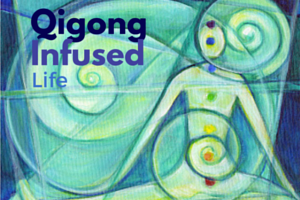 Zong Qi helps the Heart and Lung functions, promoting circulation. 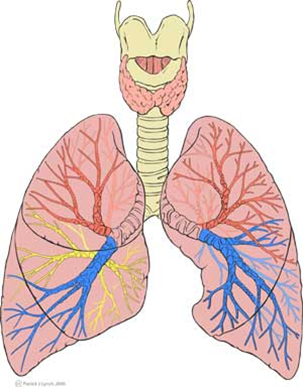 The Lungs are the most external of the Organs because of their location and so are referred to as the “canopy” of the Organs. Hence, they are more vulnerable to attack by external Pathogenic Factors and sometimes called the “Tender” Organ. The Lungs control the strength, clarity and tone of the voice. Weak Lung Qi can cause a weak voice, breathlessness and tiredness. A muffled tone of voice can result from the obstruction of the Lungs by Phlegm. The Lungs govern Qi and Qi is required to help the Heart to circulate the Blood and also to circulate Qi in the Channels. Thus, if Lung Qi is strong, Blood and Qi will circulate properly to warm the limbs. If the Lung Qi is weak circulation will be impaired and the limbs, particularly the hands and feet will be cold. The Lungs spread Body Fluid and food Essence, transported to the Lungs by the Spleen, throughout the whole body and externally to the skin and body hair. The Body Fluids are spread as a fine “mist” in the space between the skin and the muscles. The fine mist moistens the skin, regulates the opening and closing of pores and sweating. Edema, usually of the face can occur if the Lung’s don’t disperse properly. In an Excess condition the pores become blocked, resulting in anhidrosis – for example, this occurs with the invasion of exterior Wind-Cold, with the prevalence of Cold. In a Deficient condition the pores remain open and there is spontaneous sweating. This occurs in an interior condition of Yang deficiency or with the invasion of exterior Wind-Cold, with the prevalence of Wind. The Lungs also disperse Wei Qi between the skin and muscles warming them and also protecting the body from external Pathogenic Factors. Invasion by exterior Wind-Cold obstructs the spreading of Wei Qi. This can leaad to a bad Cold, with a headache, stuffed nose, feeling of cold, etc. Everything feels blocked, just like the blocking of the dispersing function. The Lungs are the upper most Organ and so their Qi must descend. They send Qi down to the Kidneys which hold the Qi. The Lungs also direct Body Fluids and food Essence transported to the Lungs by the Spleen downwards as part of the dispersing function. They also direct fluids to the Kidney and Bladder. Impairment of the descending function results in Qi accumulating in the chest. This causes cough, breathlessness and a stuffy feeling in the chest. If the Colon and Bladder do not receive the descending Lung Qi, retention of urine and constipation, respectively, can result, particularly in seniors. The Lungs, after receiving the refined fluids from the Spleen disperse them in a fine mist under the skin and also direct fluids down to the Kidney and Bladder, as described in d) (i) and (ii). The Kidneys receive the fluids, vaporize part of them and then send them up to moisten the Lungs. The Lungs by its dispersing and descending functions helps excrete Body Fluids via sweat and urine. The dispersing function, described in d (i), nourishes and moistens the skin and hair. Since respiration can occur through the nose, it is called the “opening” of the nose. The Lungs are the major Organ affecting the sense of smell, but other Organs have some influence, mainly the Spleen. If the Lung Qi is strong, the nose will be open, respiration and the sense of smell will be normal. Heat invading the Lungs can result in loss of sense of smell, bleeding and rapid flapping of the alae nasi. Invasion of an exterior Pathogenic Factor can lead to a blocked nose, sneezing and loss of the sense of smell. The Lungs house the Po. The Po is the mortal part of the Soul and is a manifestation of the breath of life. Breathing can be interpreted as pulsations of the Corporeal Soul. It is stated in the Simple Questions that the Po is close to Essence and Qi. The Classic of Categories (1624) states “the Po moves and accomplishes things; pain and itching can be felt when it is active.” This can be interpreted as the Po is responsible for clear and sharp sensations and movement. Sadness and or grief obstruct the movement of Po and so constrict breating. An example is the shallow and short breathing of a sad and depressed person. Thus, treating the Lungs is often helpful in emotional problems arising from anxiety, bereavement, depression, sadness or grief. The Lungs govern Qi and so have an influence on all of the blood vessels as described in (c). Therefore, the radial pulse on the Lung Channel reflects the state of all of the Organs. The Lungs are the canopy of the Organs and influence the skin and Defensive Qi and so are easily attacked by exterior Pathogenic factors, especially Cold. On inhaling air, oxygen is introduced into the lungs and on exhalation carbon dioxide is expelled from the lungs. Blood passing through the lungs receives oxygen and expels carbon dioxide. 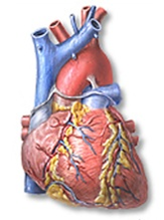 The oxygenated blood is delivered back to the heart where it is circulated through the body. A part of the food and drink processed by the Stomach is sent down to the Spleen. This is transformed by the Spleen, which extracts Qi, called Food (Gu) Qi, from it. Then, the Spleen transports the Gu Qi and other refined parts of food, called Food Essence, to various parts of the body. Recall that the Gu Qi is sent upwards to the Lungs, where it combines with the air to form Gathering Qi, and to the Heart, where Blood is formed. Impairment of these functions of transportation and transformation of food can result in a poor appetite, bad digestion, abdominal distention and loose stools. A maxim in Chinese medicine is that the Spleen likes dryness. This means that excessive consumption of cold drinks can easily impair these functions of the Spleen. The Spleen also controls the transformation, separation and movements of Fluids. The Spleen separates a usable from an unusable part of ingested fluids. The “clear” part goes upwards to the Lungs, where it is distributed to the skin. The “dirty” part goes downwards to the Intestines for further separation. If these functions of the Spleen on Fluids are impaired, Fluids can accumulate to form Dampness or Phlegm and cause edema. The Spleen can easily be affected by External Dampness, which can impair transformation and transportation. 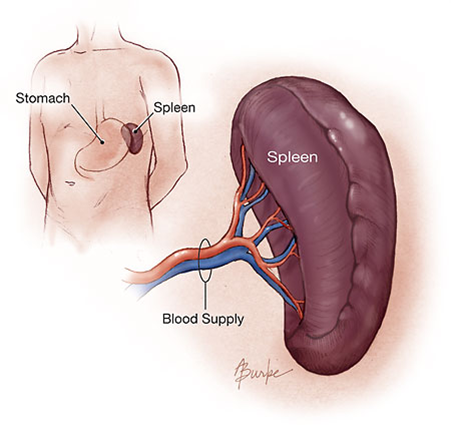 The Spleen keeps the Blood circulating in the vessels and prevents it from extravasation. Insufficient Spleen Qi can lead to the Blood flowing outside of the vessels, causing bleeding syndromes such as hematuria, hemafecia, uterine bleeding, etc. Besides controlling the Blood to prevent bleeding, the Spleen plays an important part in making Blood. If the transformation and transportation functions of the Spleen are good, Blood and Qi will be plentiful. This is the reason why the Spleen is called the “Root of Post-Heaven Qi”. The Spleen extracts Food Qi from food and transports it all over the body. If the Spleen is strong, the refined Qi is directed to the muscles, especially to those of the limbs. The state of the Spleen is an important factor in determining a person’s physical energy. If Spleen Qi is weak one will feel tired, cold, the muscles will be weak and may atrophy in severe situations. This means that appetite relates to the transportation and transformation functions of the Spleen. When these functions are working properly, the appetite and taste will be normal. Otherwise, abnormal sensations such as a sticky mouth, a tasteless sweetish taste or a bitter taste will occur. The Spleen’s function of raising the Qi is another way of expressing its function of extracting the food Qi and sending it to the Lungs and Heart and upper body. The Spleen also exerts lifting effect along the midline of the body, which ensures that the organs are in their proper position. If the Spleen is weak in raising Qi, prolapse of various organs can occur. Thought (Yi) resides in the Spleen and corresponds to the function of thinking, concentrating, studying, focusing and memorizing. However, the Heart and Kidneys also have an effect on thinking and memory. If Spleen Qi is weak, then thinking, concentration and memory will also be weak. On the other hand, excessive mental work can weaken the Spleen. Saliva is the fluid of the mouth, which is the opening of the Spleen. Saliva circulates upward to the mouth and doesn’t dribble out. Disharmony between the Spleen and the Stomach can quickly increase the amount of saliva and cause dribbling. The spleen is located on the left edge of the stomach, inferior to the diaphragm and is about the size of a fist. There are two distinct areas within the spleen, white and red pulp. The functions of the spleen include the following: (i) It filters blood but not lymph, because the spleen has only efferent lymphatic vessels. Macrophages in the spleen remove bacteria and other pathogens, cellular debris, and aged blood cells. (ii) It destroys old red blood cells, removes the iron from the heme groups and binds the iron to the storage protein. (iii) The red pulp contains large quantities of blood, which enters the circulation when required. It also stores blood platelets. (iv) It is active in immune responses. T cells proliferate in the white pulp before returning to the blood to attack non-self cells. B cells proliferate in the white pulp, producing plasma cells and antibodies that return to the blood to inactivate antigens. (v) During the first five months of fetal development, it produces red and white blood cells. Look for Scientific Qi Exploration. Part 17b. Meridians and Organs. Yin Organs, part 2, next month in the January 2012 issue. My compliment,respect and admiration for this Qi exploration for Dr Eisen [part 1 & 2] a true scientist and Eastern expert! DR.excellent. Would like to know more about relation between sound-mind-sickness-yin-yang organ. What’s up,I read your blogs named “Scientific Qi Exploration-Meridians and Organs. Yin Organs | Yang-Sheng.com” daily.Your writing style is awesome, keep up the good work! And you can look our website about love spell. Good stuff to read. Thanks.